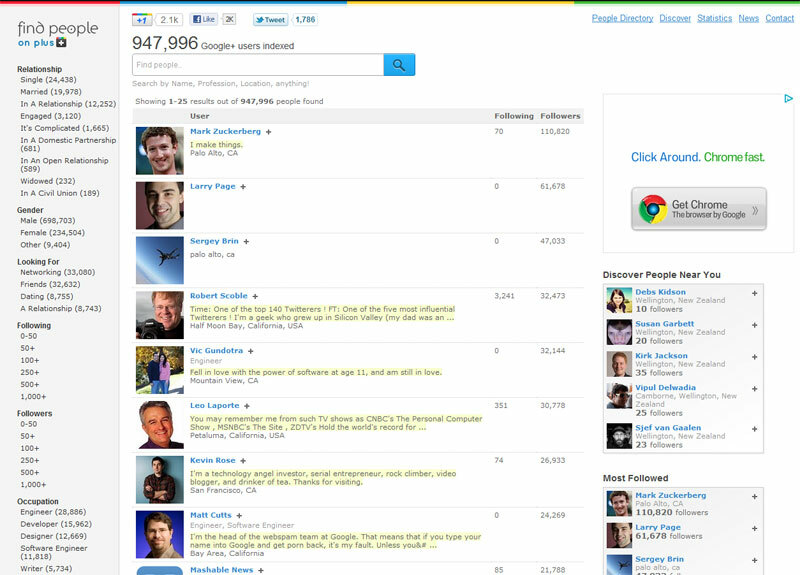 Curious about who the "top people" are on Google Plus in terms of following? Curious if your friends are in this new social media? Curious if your name is showing up at all? 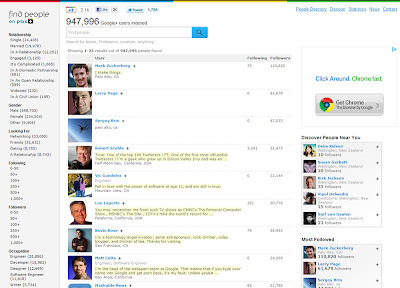 Then welcome to Find People on Plus, an alternative (and better looking interface, I might add) to finding people within Google Plus itself. And who tops the list? Mark Zuckerberg! Surprise, surprise. I searched for a couple of friends but one of them did not turn up. I guess he's using an alias or something. And my name? Yep, it turned up too! There are also some interesting stats per country. US is number one of course in terms of membership... the Philippines still has a long way to go if it wants to catch up.